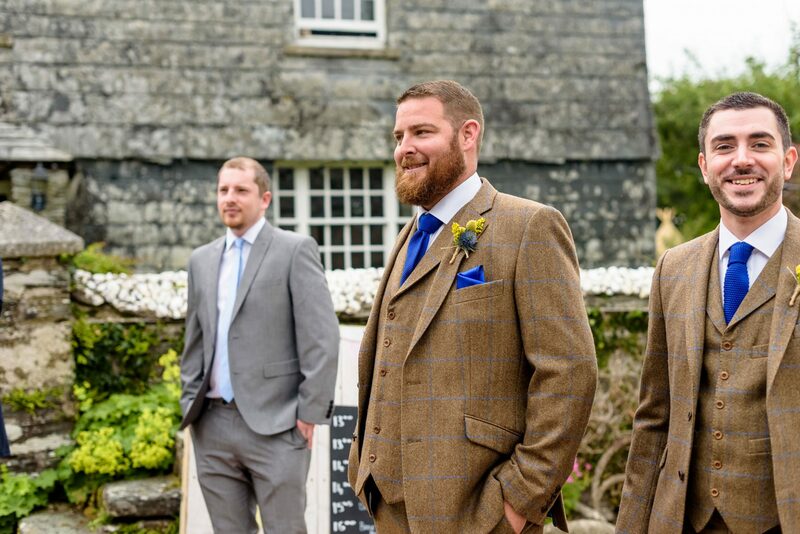 Back on the 8th July 2017 we had the pleasure of hosting Lucy and Dave’s romantic outdoor summer wedding. 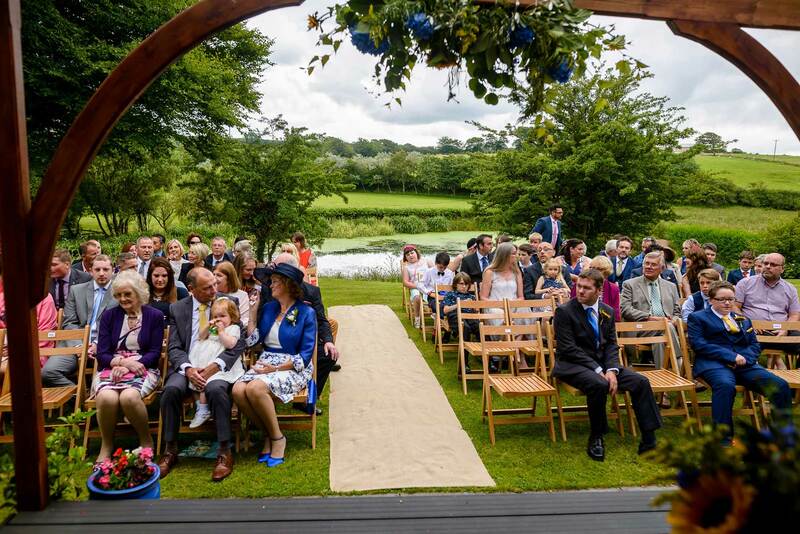 The ceremony was perfectly located in the elegant surroundings under our lodge pagoda and our stunning bride and groom enjoyed a view of our pretty wildlife pond teeming with life in a relaxing haven of peace. 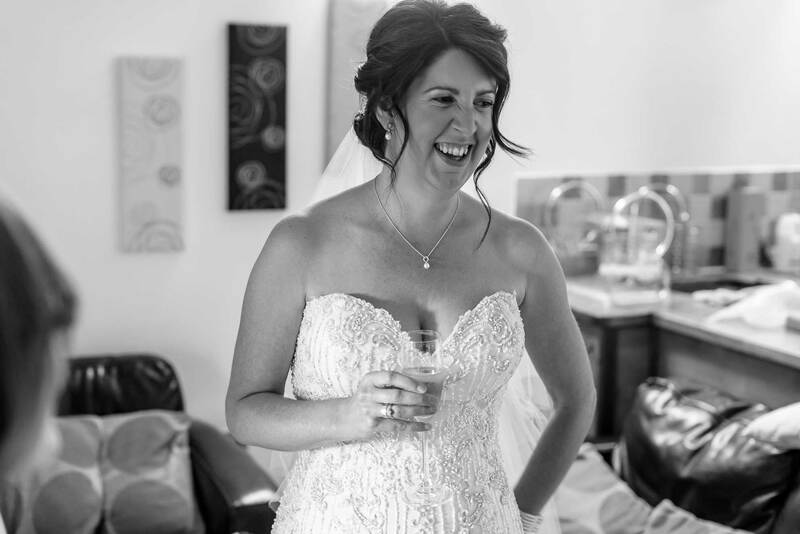 Gorgeous bride Lucy looked stunning in her intricately beaded and strapless dress with a delicately draped veil adding a traditional touch to her look by Prudence Gowns. 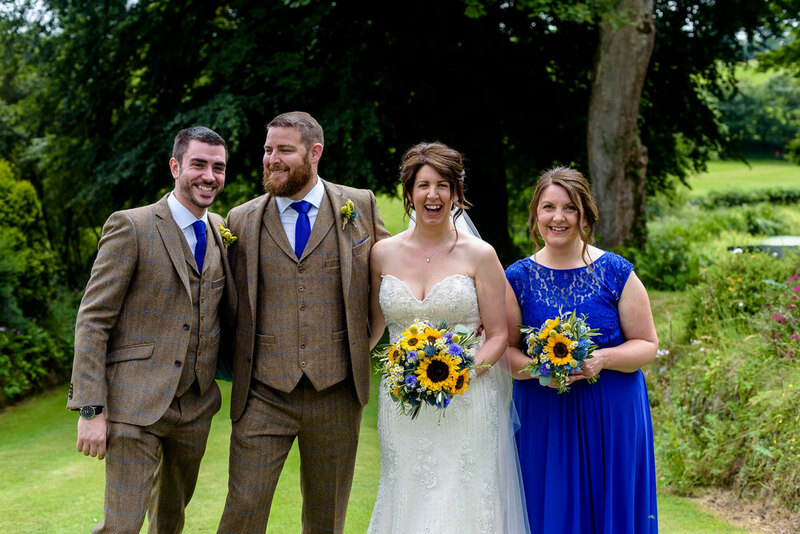 Bright and summery colours were used to style their day including bold yellows and fresh blues which added a colourful touch to the day. 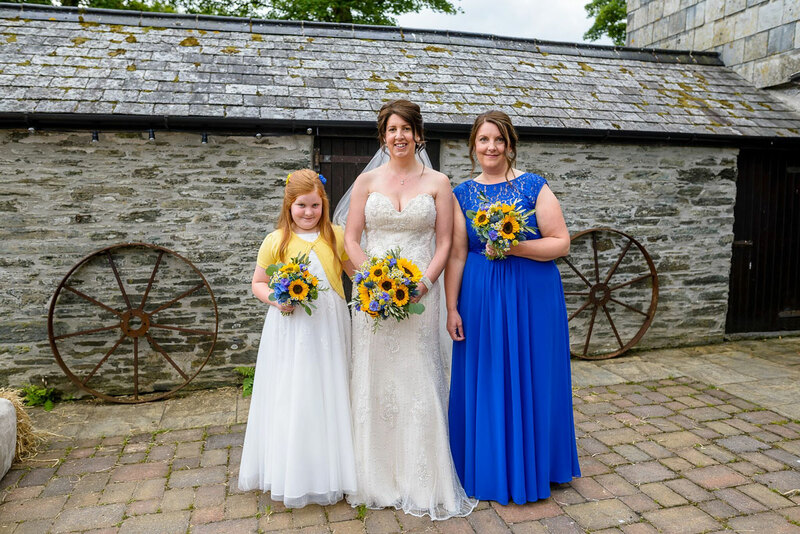 The traditional English flowers by Flower Scene; gorgeous yellow sunflowers and beautiful blue hydrangeas completed the stunningly designed day and matched the brightly dressed guests. 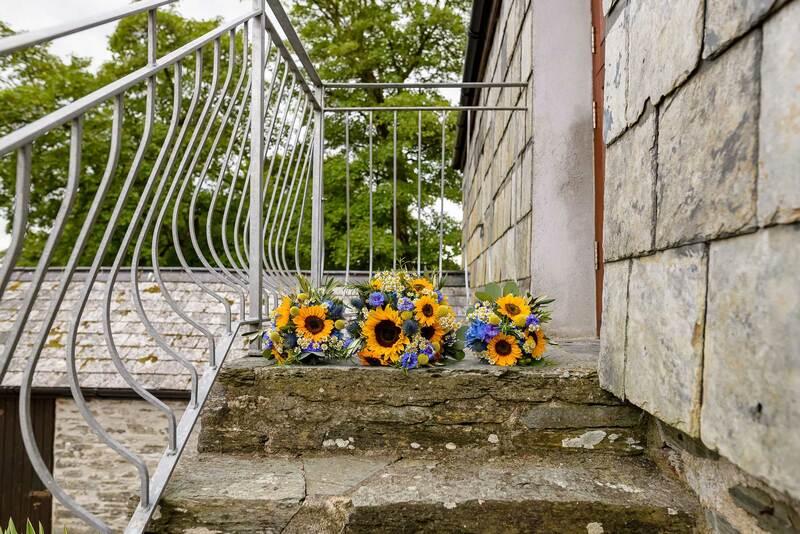 After the ceremony guests helped themselves to handfuls of dried petals creating a welcoming confetti aisle leading to the courtyard, where celebratory drinks of summery Pimms were enjoyed in the beautiful sunshine. 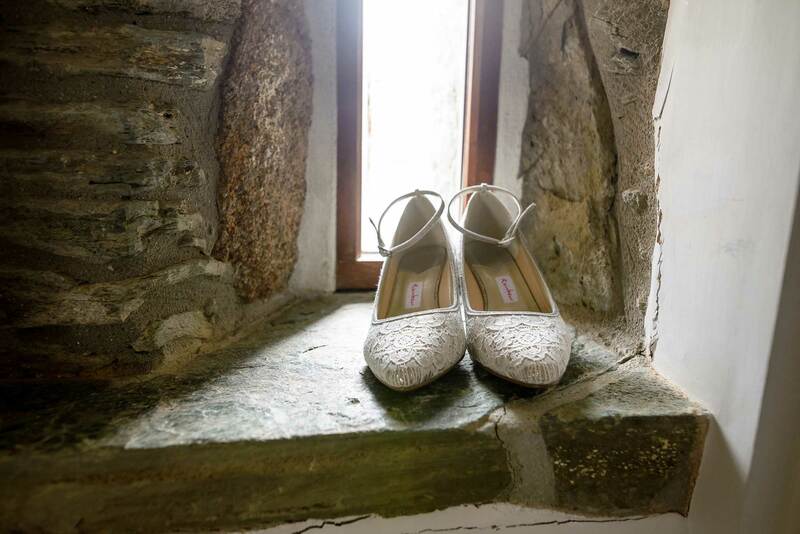 The perfectly matched couple and proud guests relaxed on straw bales soaking up the sun rays and were able to take full advantage of the plentiful beauty spots around our stunning grounds, creating some fantastic photographic memories taken by talented photographer Jodie Hardwick at SmileyHappy Photos. It was then time for guests to take their seats in the stunning Tipis provided by the Cornish Tent Company. The couple enjoyed spending time with family and friends laughing and joking during their delicious dinner provided by The Good Food Catering Company starting with sharing platters consisting of chorizo sausages, serrano ham and spinach tortilla bites followed by the main course of salmon fillets, Moroccan style roasted lamb and chicken prosciutto accompanied with roasted new potatoes and salads. It was also a time for reflection and joy, surrounded by their closest friends. 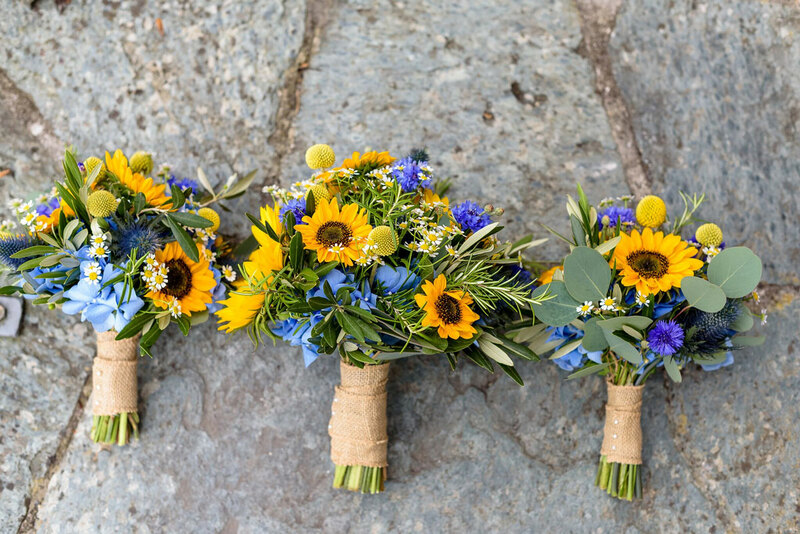 The wedding cake provided by Centrepiece Cakes, Plymouth which comprised of one chocolate, one carrot and one lemon was served as desert with tea and coffee and topped with beautiful bright sunflowers. The evening entertainment was provided by local ‘retro-covers’ band ‘The Breaks’ who carried on until the stars lit the dark summer night sky before guests retreated to their accommodation after a breathtakingly beautiful and joy-filled day. 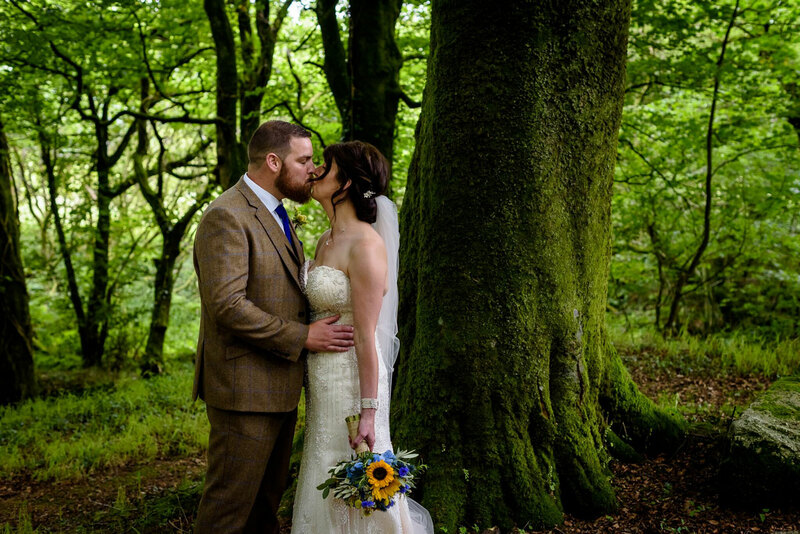 We couldn’t have hoped for a better day, filled with romance and laughter… even the weather behaved itself! 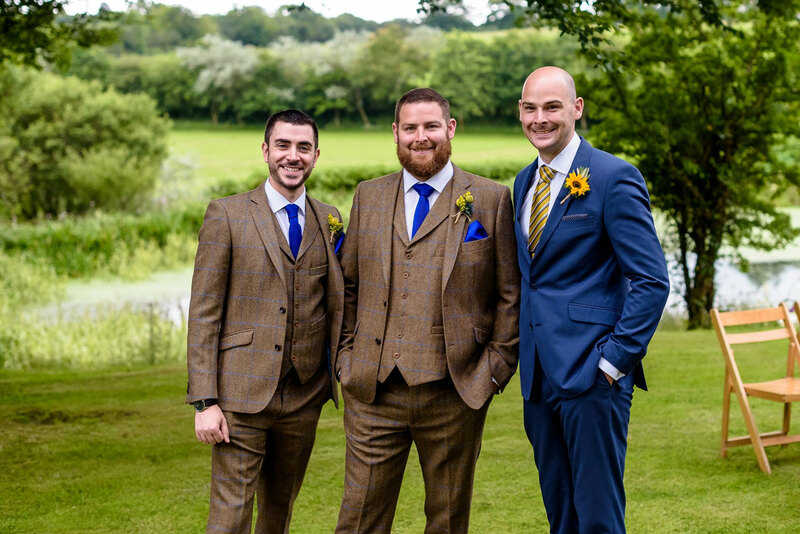 “We just wanted to say a massive thank you for all your hard work in making our wedding the success it was. We had such an amazing time staying at Ta Mill, and we could not have dreamt it going any better than it did (even the weather played ball). You worked tirelessly to make sure everything ran like clockwork, and had the feel that we wanted.